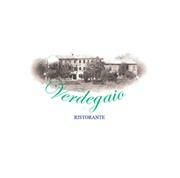 The restaurant Verdegaio is located in Susegana, Treviso, surrounded by nature and close to important centres of extraordinary beauty (Venice, Conegliano, Cortina, etc.). Genuine Cuisine, attentive to the territory. Menus for vegetarians and celiacs. Great parking and Park. Large veranda and fireplace. Children's room. Chic picnic table. Ceremonies and meetings organization. Thursday evening: an elegant Buffet and cultural events (news on the website). Benefits for companies. Free WI-FI. Multilingual staff. We may be available even in the closing days.